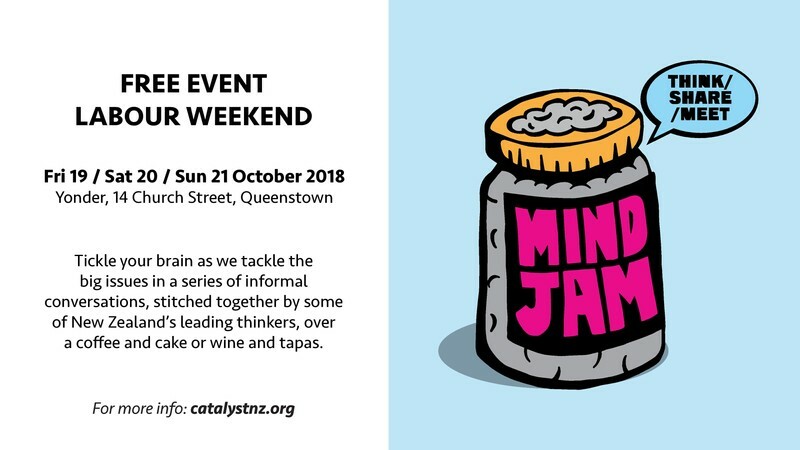 Celebrate Labour Weekend in Queenstown with MindJam, as we tackle hot topics and explore intriguing ideas - from the new politics of farming to the meaning of whakapapa. From the ethics of artificial intelligence to why should we care about Captain Cook? MindJam 2018 is a series of informal café conversations covering the big subjects, all stitched together by some of New Zealand’s leading thinkers. And we launch at Yonder (our hosts for the weekend) on Friday night, October 19, over a glass of your favourite and complimentary tapas with “Frankenstein – Live!". Two hundred years after Mary Shelley’s cult novel was published, internationally renowned bioethics expert Dr Susan Lederer will cover issues from cloning to xenografting through the lens of the Frankenstein myth. What might it say about the acceptable limits of scientific and medical advances - and the role scientists and citizens play in determining them? This weekend of disruptive conversations was launched as part of Queenstown Jazz Festival last year. It was such fun brain fodder, we are continuing even though the festival is taking a break this year. Search Eventfinda for "MindJam 2018" for details on each session.